Leo- the Laboring Artist…..He’s been drawing and painting since he was a child. He’s become quite good, as it so happens the work that really sells is what bores him to make. It’s a juggling act, does he paint the things that pay the bills or does he paint what makes him happy? He’s not complaining, he makes time for the things that matter and he’s got a plan. Some articles suggest that before we enter school, our left brain and right brain functions are more even. That school plays to the more left brain ways of learning. I think in school that is the way it has to be if you’ve got a class of 30 or so students. I don’t think we lose our “right brain” activity, I think we stop trusting it. It’s always there in the background. There are exercises you can do to get your “right brain” more involved, which may help in getting over a block. 1981- Roger Sperry (Nobel Prize winner) suggested that the two halves of the brain actually house two different realms of consciousness. It’s been suggested that people, in general, are primarily either right brain thinkers or left brain thinkers. So if I'm Left-Handed, Does This Mean My Right Brain is Dominant? Our right brain is visual, intuitive, playful, subjective, emotional, timeless, spontaneous. It deals with humor, imagery, physical activity, art, music, and dance. It is passive whereas the left side is aggressive. I think the more “right brain” activity I can bring into my life, the better. As long as I can keep my female emotional side in check! LOL!! Another sign of hope for us beginner's is that we can learn to tune into our Right Brain (see book Drawing on the Right Side of the Brain). When kids are about 10-11 yrs old, they enter the “stage of realism” where the child wants to draw something that looks real. Some kids are able to make the transition into the right brain thinking and tap into that part which helps them “see” what they are trying to draw. While many other kids get frustrated and give up. Later, when these kids are adults and want to draw again, their art will resume right where it left off, at the “stage of realism” level. This book helps make the conversion into Right brain thinking. I may just have to dig around in my basement for my copy! What about you? Are you more right brain dominant or left? What tricks have you learned to compensate for your right or left brain dominance? I am definitely "right brain"
After reading the list, I have some of each. I think Leo should paint what he loves....if he puts his heart into it people will see that and they'll love it, too. Great, fun, super cool post! I'm definitely right-brain dominate but somehow I've been able to merge the two worlds and feel pretty darn balanced. I always heard playing the piano as a young person helps with this. Hmm... Thanks for stopping by for a visit today. Your blog is so delightful. What a great post, Eden! I'm such a mess of left brain and right brain attributes that I confuse everyone - and myself. I love the art you've used in this post. Perfection. I really love your stuff,your drawings, bright colors and attitude! Sometimes I feel like Leo - so I'm dying to know, what *is* his plan? I struggle to stay in my right mind. lol. When I try to let go and doodle or paint something abstract I get pulled back by my left brain and my doodle looks like a palm tree or a flower - not a doodle at all. Great post and little drawings. Ro, thanks for telling us about Eden's blog. hello! it's nice to meet you! i have found you via the art linky link! 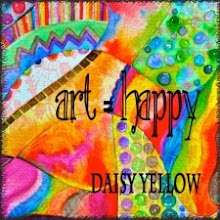 your art makes me smile..it's so fun and whimsical and humourous! well done! come by and visit with me as well, if you are so inclined! Hi Eden, I found you through the artist bloghop. 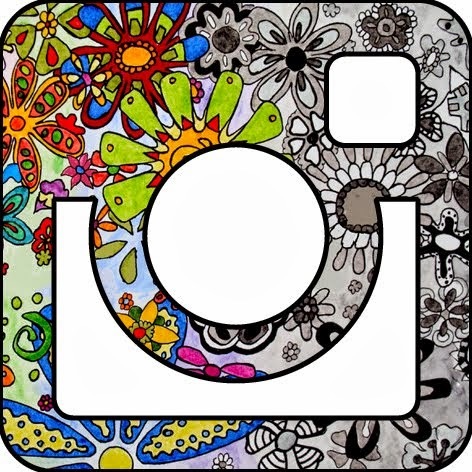 Loving your doodles, they're so colourful. I was just watching a program on Matisse and your colour choices remind me a lot of his work.